"Does Your Localization Strategy Include India?" posted on 10/26/2018 at 4:42 PM by writer. Have you ever thought about what market you should do localization for next? Perhaps, sometimes it’s just as simple as “the bigger the better”. And one of the biggest markets of our time is India. What is the number of potential customers and why so many? By the latest statistics the population of India is almost 1.4 billion people and growing fast. The Chinese population is something more than 1.4 billion people. By some forecast by the year 2021 it can overtake the Chinese population. India has also the fastest growing economy and as any other country is not willing to stay behind the common tech development and modern trends. The most popular language in India is their native Hindi, however there are around 20 other different languages, which are also used. Just some time ago English was still the dominating language in this region regarding any IT topics and products. At this moment the latest analytics data says that it is already in stagnation. Indian people and the market are evolving and becoming more tech savvy everyday and it’s absolutely normal that it’s easier and convenient for a person to do everything using their native language. Therefore so many info-businesses with an educational course appear in India on social media networks as YouTube, Facebook, etc. The smartphone industry is also used to be limited to the English-speaking users in this region, but now this barrier is going to disappear. Smartphone users are expected to rise to 750 million by 2020. Taking into consideration the fast-growing industry, their willing to use their native language for all their needs and their growing population number, soon they may become the market that is in a huge demand. The place of the English language still stands very important to all communication levels for this country, at least those levels that are related to IT. Though, many websites and apps, especially governmental, educational, etc. provide their content in different languages that are widely used around the country. So what is a tendency today could be the well-known fact tomorrow. How to do the localization the right way? Localizing your website for at least one most popular language of this country may become an incredible source of traffic and sales for your business. Many people have access to the internet and smartphonesthese users will potentially become your customers. Just to begin with, you can localize for the Hindi language which is the most popular language in India. If you feel that the audience of this country is intended to buy your products or use your services, you can continue localizing your website for the rest of the languages one by one, starting from the next most popular one − Bengali. 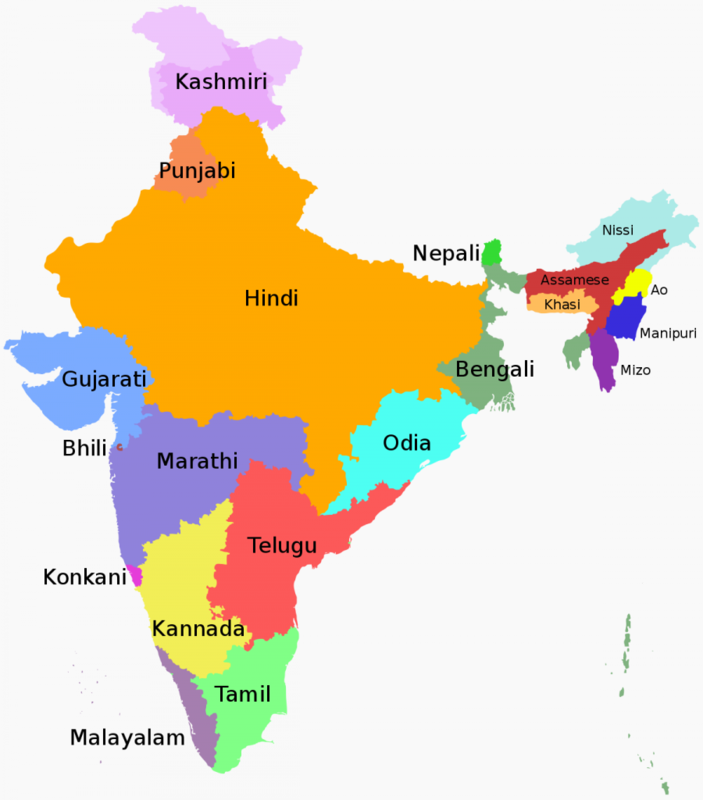 According to the map this one is not the second most spoken language in India, however it pretty popular across the whole world, so you should better go with this one after Hindi. So here is a good question for your business− when is the right time to start your localization for Indian languages? So far their market is not so competitive and what is the most important, almost free of foreign companies. Due to the simultaneous development of different technologies in people’s everyday life and their growing level of tech education, all of them together are becoming a new enormous sector that is open to the new products and services to sell.